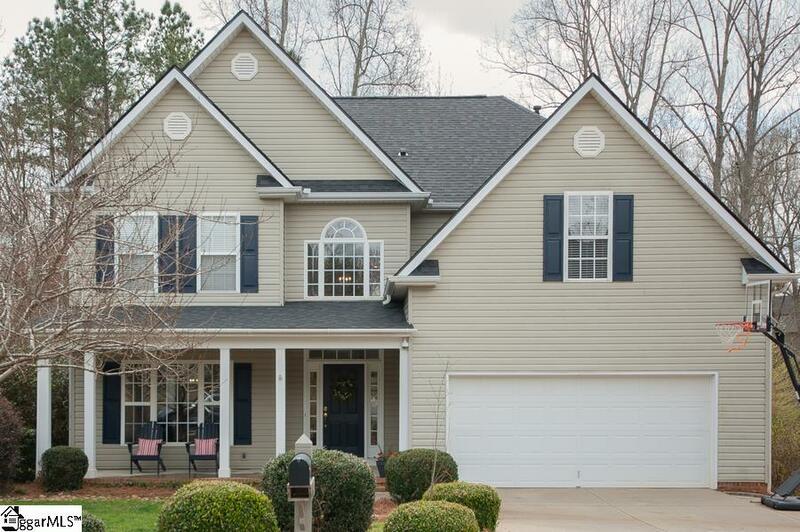 Wait until you see this FABULOUS Move-in Ready Home that sits on a beautiful 1/2 Acre lot! The Backyard is AMAZING!!! Sip your coffee on your screened porch overlooking GORGEOUS Cobblestone Patio and wooded further back in the yard with tree lined Soothing Stream across the rear of the property! Current homeowners have done SO much to this home during their ownership! (Agents, take a minute to pull up the listing from when they purchased the home in 2010 and you will see that it looks like a completely different home!) This home feels BRAND New! UPDATES CURRENT HOMEOWNER HAS DONE: HARDWOOD FLOORS REFINISHED in 2016, NEW STAINLESS STEEL APPLIANCES, DECK off of Screened porch was REPLACED, Some BATHROOM Updates, NEW POTTERY BARN Light Fixtures in Dining Room, Foyer and Breakfast area, and New Ceiling Fan in Great Room, NEW CARRARA MARBLE Backsplash in Kitchen, NEW ROOF in February of 2019 (30 year Architectural Shingles). This 5 bedroom (or 4 plus bonus), 3 Bath Home is a MUST See, and you will have to go no further in your search! Remember...there is a bedroom and full bath on main level, perfect for guests! Hurry before it&apos;s too late!! !